E-petitions is the very first product delivered by GDS and last week it celebrated its first birthday. Pete Herlihy, product owner for e-petitions reviews the year in numbers. It’s been an eventful and productive first 12 months, both in terms of how widespread the use of e-petitions has become and also in terms of the iterations we’ve made to the service during that time. 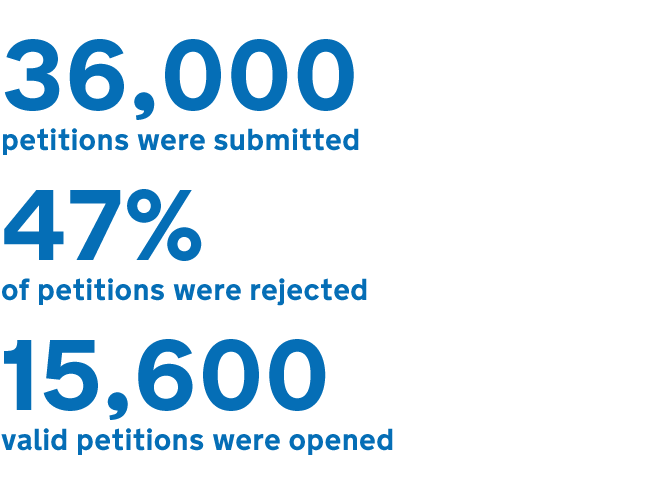 A year on from the first public release, we have an opportunity to look back and see how e-petitions has been doing, by highlighting some of the numbers that provide insights into how the service is used and what its impact is on Parliament and the democratic process. Looking at the numbers above and the list of petitions , the range of issues that motivate people to start an e-petition is striking. Even discounting the high proportion of e-petitions that are rejected for not meeting the service’s terms and conditions (duplicates, things outside Government control etc), there is still an average of 1,300 valid e-petitions being started every month. The annual number of visitors and the number of visits they each make amount to some very large numbers, far greater that some major departmental websites for instance. 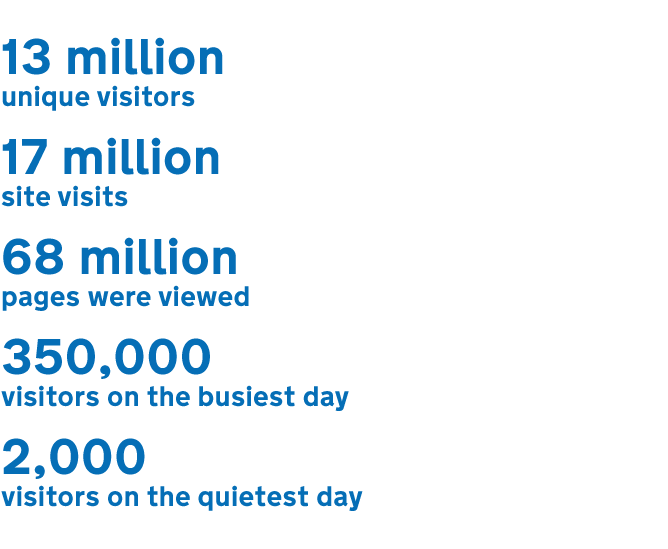 The unique visitors equate to more than a quarter of the UK’s population over the age of 16 having visited the e-petitions website. There is a hint in the month to month breakdown below, of the large fluctuations in visitor numbers on any given day. The chart also shows just how variable the demand on e-petitions can be - propelled by real world events. The large peak in the chart was primarily due to the huge support for a petition raised during the London riots in August 2011. Whether or not you agree with the sentiment of the petition, these numbers demonstrate the importance of having a forum for people to have their say and interact with politics. With over a third of visitors taking action and signing an e-petition, this represents the equivalent of collecting 12 signatures every minute since the service launched. Ten e-petitions have passed the 100,000 signature threshold, making them eligible for debate in the House of Commons. Of these, nine have been debated, with a debate relating to the 10th scheduled when the House of Commons returns in September 2012. High praise indeed for a mode of participation that has been live for merely a year. With initial delivery costs of around £90,000 and ongoing running costs of around £30,000 per annum, e-petitions is one of the cheapest government services to facilitate. The cost of e-petitons in the first year works out at 2p per transaction and it is expected that this will fall to under 1p in it’s second year and beyond. As is the GDS way, we’ll continue to listen and iterate on e-petitions. Our next area of focus will be making it easier for petitioners to engage with MPs, especially on those petitions that may not attain the 100,000 signatures, but are still that are worth investing time in. Keep an eye on this blog for developments. I say consultation, you say...? I think it would be a good idea to have a localised version for local issues rather than national. But on the other hand this may raise costs and be difficult to produce a framework to connect all authorities petitions. Is it up to the individual authority to implement systems like this? Hi Andrea. As I understand it, local authorities are obliged to provide an online petitioning service already. MySociety (amongst others) provide very reasonably priced service that many councils use, so I don't think costs should be a significant blocker. Joining up and publishing petitioning data across local authorities will be more challenging, especially where they use different systems and data schema. We recently open sourced the e-petitions code base (https://github.com/alphagov/e-petitions) and opened up the non-personal data that we collect via an API (http://epetitions.direct.gov.uk/faq). 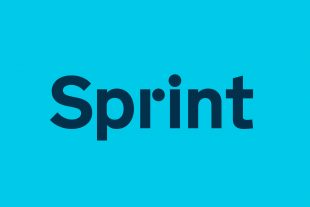 Hopefully these two things will provide more options to others looking to create their own service. Looking good. What was the most common topic and most common reason for rejection? Cheers Fraser. The petitions are just too many and varied to be able to spot the most common topics, but the top three 'responsible departments' (by number of e-petitions submitted) are Ministry of Justice, Home Office and HM Treasury. I think you can infer crime, policing, immigration and budget related issues are pretty high on the agenda. Regarding rejection of petitions, duplication of an existing e-petition is by far the most common reason. When a new petition is submitted, is checking it against existing petitions automated or does a human have to scan the list before deciding whether to accept it or reject it as a duplicate? baragouiner, there is a bit of both. When someone adds a new petition, a search is completed to show similar petitions, at this point the submitter can decide whether to continue. Once they have submitted their petition, there is then a manual (human) process to check for duplicates. It is not possible to fully automate with any fairness, as there can be quite similar petitions that are asking for quite different things. Excellent example of channel shift! i hope this is something our authority can adopt in the future for a number of services. Thanks Emma. All eyes on Wolverhampton now! Well, we are implementing a centralised publishing model on the back of what has happened in central government so i am sure we can follow suit with other services....watch this space!